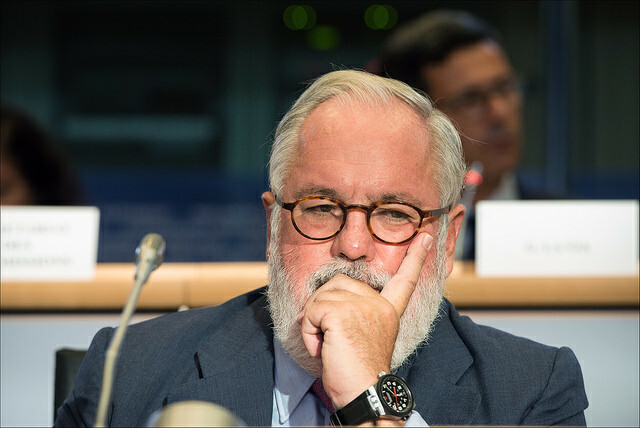 “We will help Europe turn the Paris agreement into concrete action,” claimed Miguel Arias Cañete, the EU’s Climate Action and Energy Commissioner. sweeping package of measures. This is higher than the 27% EU leaders had agreed in October 2014, which would also not be binding. 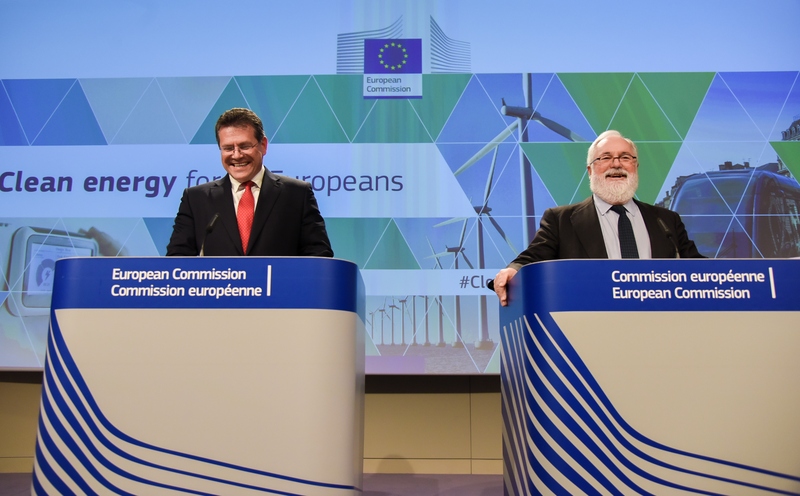 The Commission today boosted that to the same level that it originally put forward to member states, pointing to the Paris Agreement as reason for the increased ambition. The European Parliament which must ultimately agree an identical law with member states, has twice backed a 40% target. Energy Union Commissioner Maroš Šefčovič said 30% was the best solution after Commission analysis on cost-efficiency and benefits, and that it would create 400,000 new jobs. “This is the most balanced approach we can have because an approach must be based on consensus,” Cañete said, “It is going to be a huge effort to achieve this across the 28 member states. Under the Paris climate deal struck almost a year ago, the EU plans to cut greenhouse gas emissions by 40% by 2030 over 1990 levels and make renewable energy account for 27% of energy use. The Commission did not increase its 2030 renewable target, leaving it at the 27% called for at the October European Council. In 2030, the EU aims to have half of the bloc’s electricity generation come from renewables like wind and solar power. By 2050, it hopes electricity will be free of carbon. The package calls for making renewable energy increasingly market based, setting a regulatory framework designed to reassure investors and set a level playing field for different technologies. “The new market rules sharpen price signals and promote a more flexible market,” Cañete said. “Our proposals will boost trading across borders, create a level playing field for renewables, and remove barriers for new actors in the market, and ensuring certainty for investors,” he added. The proposals on renewables also aim to promote more jobs in a sector that already employs more than one million people. The Commission said some 320,000 worked in the wind energy sector in 2014, five times more than 2005. 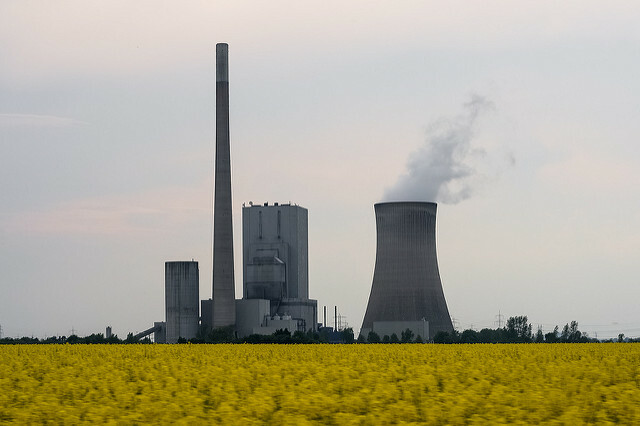 EU member states have pressed ahead with a variety of schemes to remunerate energy generators for keeping power plants on stand-by, despite warnings from Brussels. It now seems certain that such “capacity mechanisms” will remain a fact of life, at least for the foreseeable future. The 1,000-page package of measures – which still need to be approved by EU nations and the European Parliament – aims to overhaul the energy market and ensure the shift to clean energy. The Commission is calling for reducing so-called capacity mechanisms, which are seen as government subsidies used to help power companies avoid electricity blackouts. The mechanisms used or under consideration in Belgium, Croatia, Denmark, France, Germany, Ireland, Italy, Poland, Portugal, Spain and Sweden ensure that sufficient electricity supplies are available to meet demand during peak times. The means the EU has set a limit of 550 grams of carbon dioxide per kilowatt-hour for new plants while giving time for existing capacity mechanisms to adapt to the new rules. 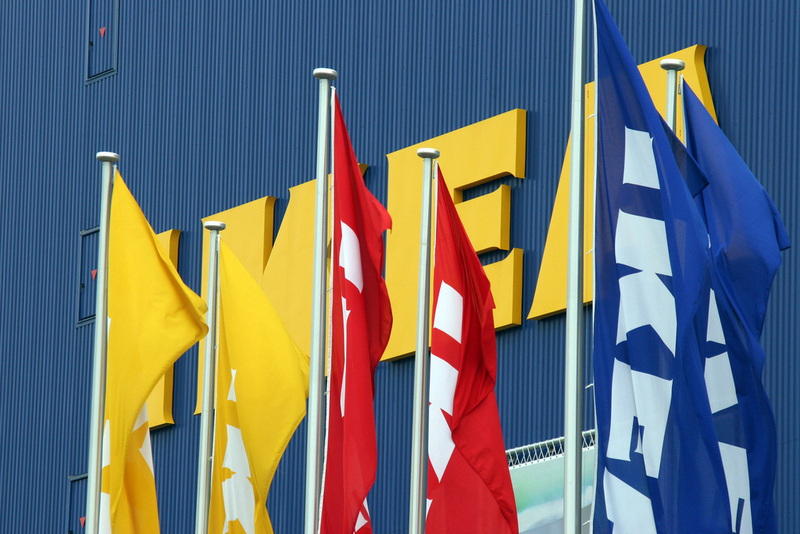 As the European Commission publishes its long-awaited “Winter Package” of energy laws, European companies are speaking out on the need for binding national targets for renewable energies. EURACTIV France reports. “The publication of the Winter Package is a welcome move after months of uncertainty on energy efficiency legislation, but the European Commission could have gone further to provide real benefit to the economy, final consumers and the environment ” said Andrea Voigt, Director General of the European Partnership for Energy and the Environment. “The Commission is totally detached from reality if it expects that its proposal will result in significant investments in advanced biofuels, given that most of the potential investors have already been burned by the Commission's previous biofuels u-turns. 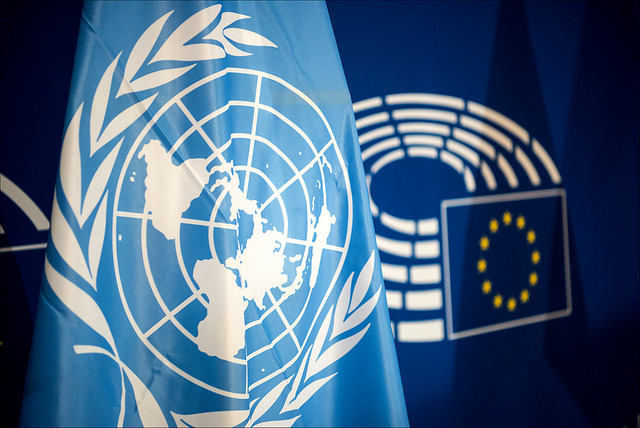 ePURE calls on Member States and Parliament to seek the promotion of advanced biofuels in addition to the existing targets for the use of conventional biofuels,” said Robert Wright, Secretary-General of ePURE. “The EU led the world on climate change. And the world has followed as the need for action becomes ever more urgent. But the Commission’s clean energy package is still too dirty. Far from accelerating the energy transition the proposals leave the door open to subsidies for the next ten years,, undermine support for renewables, and miss some big opportunities on energy efficiency. The Commission also seems to think that a good way of tackling climate change is to burn more trees," said Imke Lübbeke, Head of Climate and Energy at WWF European Policy Office. “It is now up to the European Parliament and to the Council to add some backbone. Without that, Europe will undermine the progress it has already made and miss out on the huge benefits that the energy transition bring, for our economies, our job opportunities, and our health." “How is the EU planning to reach its 2050 objectives and its COP 21 commitments by keeping endorsing fossil fuels in its energy system?” said Jean-Marc Jossart, Secretary General of the European Biomass Association (AEBIOM). BusinessEurope Director General Markus J. Beyrer said, ““We support the Commission’s plan to further strengthen the functioning of the EU’s power market. The full integration of renewable electricity is essential. It is positive to put all energy sources on equal footing with clear responsibilities. We should get rid of distortions in the energy market caused by subsidies and decrease the energy costs for consumers. “The increase of the energy efficiency ambition level to 30 per cent with binding nature weakens the EU’s efforts to strengthen the EU ETS system as the flagship of our decarbonisation goal. On top of that, comparing energy investments over the last decade with the Commission’s higher targets implies an increase in investments for the coming period by more than 400%. Such an approach is neither cost-effective, nor realistic”. “In Europe, we have high energy prices which hurt our businesses and competitiveness vis-à-vis other regions of the world. Removing existing barriers and market distortions in the electricity market to increase competition will get the best deal for our consumers”, said Krišjānis Kariņš MEP, the EPP Group Spokesman in the European Parliament’s (EP) Committee for Industry, Research and Energy.